Instant Articles are about to become a lot more prominent on Facebook: starting April 12 (coinciding with Facebook’s F8 conference), any publisher will be able to sign up to use the format. If you’re not familiar, Instant Articles are light versions of articles and posts that – as the name suggests – are meant to load immediately. They open right from Facebook’s app too, so you aren’t constantly switching back and forth between apps to read the latest listicle about cats. Instant Articles were introduced in May 2015 on iPhones before arriving on Android devices in December. The company has slowly allowed more publishers to use the feature, but today’s announcement means you can expect to see way more posts in the format later this year. 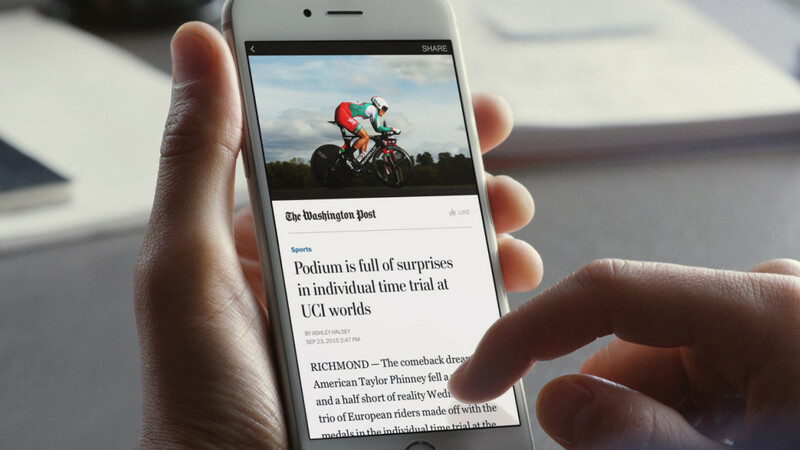 For its part, Facebook says users are more likely to post and share Instant Articles. That said, there will still be some publishers that prefer to forego the feature, espcially smaller ones. As The Verge points out, implementing it requires some web-coding prowess, and some publishers might prefer to use richer advertising methods not available to Instant Article posts.